The Trump administration this week outlined plans for selling drilling rights in the Arctic National Wildlife Refuge, raising the stakes in a decades-long battle to protect the far-northern Alaskan wilderness. The Interior Department published a draft environmental impact statement online Thursday, Dec. 20, that described leasing plans to open the entire 1.6 million acres of coastal plain—known as the 1002 Area—in the 19-million-acre refuge. Other leasing options would be more restrictive but would still open most of the coastal plain to oil and gas development. A year ago, Congress ended the ban on energy development in the refuge, which had been in effect since the 1970s, as part of the federal tax overhaul bill. The sale of leases within the refuge were intended to help pay for the tax cuts. Reaction from environmental groups to this week’s action was swift. 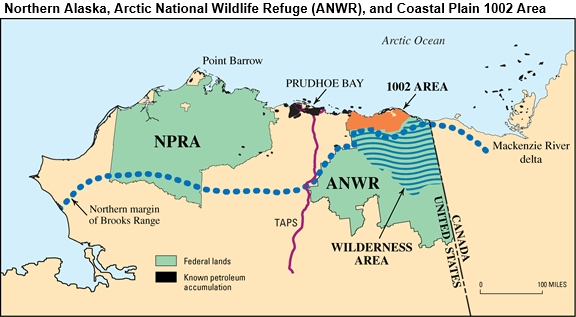 The refuge in northeastern Alaska is home to polar bears, caribou, moose, and hundreds of species of migratory birds. Assistant Interior Secretary Joe Balash said that all of the options include protection for the porcupine caribou, whose conservation is managed by Canada and the US. Wouldn’t expect anything less from someone who spends all day typing on their phone and watching Fox News. Best way to fight this type of behavior is introduce kids to the great outdoors.